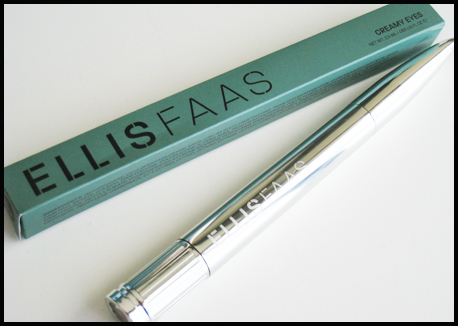 Ellis Faas is completely new to my blog, so let me start by introducing the brand. Ellis Faas is a renowned makeup artist with many credits to her name, including working behind many well-known brands such as M.A.C. and Biotherm. She went on to create Ellis Faas, a makeup line that draws only on colours that exist in, and on the human body. All her products are fluid in texture, and dispense from bullet-like containers, such as the one pictured below. 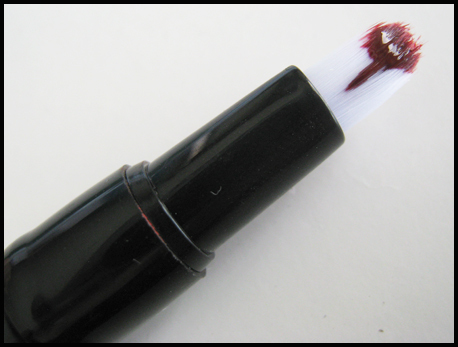 Today, I want to introduce you to a product that I am completely head-over-heels in love with - the Creamy Eyes in E103. 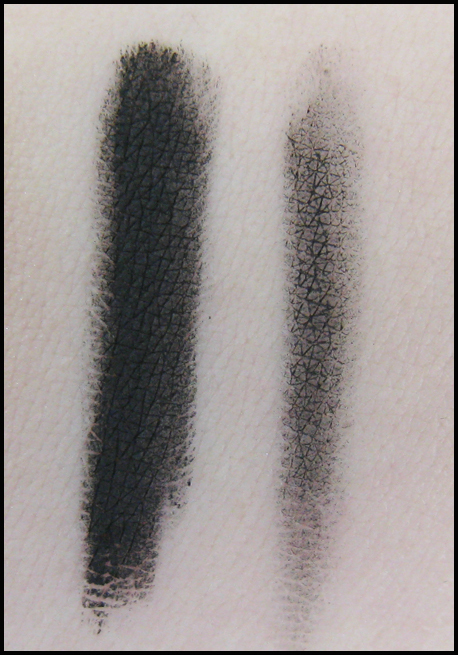 This is a creamy-textured eyeshadow in a pure black colour. It comes in the standard Ellis Faas click-twist bullet dispenser. The applicator is a little brush, pictured below. This product is nothing short of amazing. Though meant to be used as a cream eyeshadow, I have started using it as an eyeliner instead, and I am loving the results! This has staying power like no other cream eyeshadow. The reason why I rave about this over any other cream eyeshadow, though, is the intensity it provides. This product comes out a strong, pure black, and smudges like a dream. I have been using gel eyeliner for many years now because of the intensity and staying power I get from it, but I have always loved the smoky, soft effect that pencil eyeliners give me. However, I am yet to find a pencil eyeliner with the kind of staying power that I am accustomed to with gel eyeliners. Why I like it, in summary? It stays on like a gel eyeliner but smudges and blends like a pencil liner. It is my DREAM hybrid eyeliner! Swatches in natural light - one swipe on the left, and a small dot blended out on the right. Here's an FOTD I did a couple of days ago for the Makeup Challenge, where I wore the E103 as an eyeliner. It doesn't show here, but in real life, the effect was beautiful and smoky, but daytime-appropriate. I took this out at night as well - all I did was layer on more eyeshadow, and blend further upwards for a more intense, smoky effect. This eyeshadow retails for €26.00 on the Ellis Faas website.